"Jurassic World: Fallen Kingdom" charted the biggest opening day ever in South Korea, breaking the previous record set in April by "Avengers: Infinity War," data showed Thursday. The Hollywood action blockbuster brought 1.18 million people to theaters on its opening day, Wednesday's Memorial Day, according to a computerized box office tally from the Korean Film Council. When it opened in South Korean theaters on April 25, "Infinity War" set the previous record by collecting 980,052 admissions. In the follow-up to the 2015 smash hit "Jurassic World," which drew an audience of 5.54 million in the country, Claire and Owen return to the abandoned park at Isla Nublar to save the dinosaurs still living there from dying in a volcanic eruption. 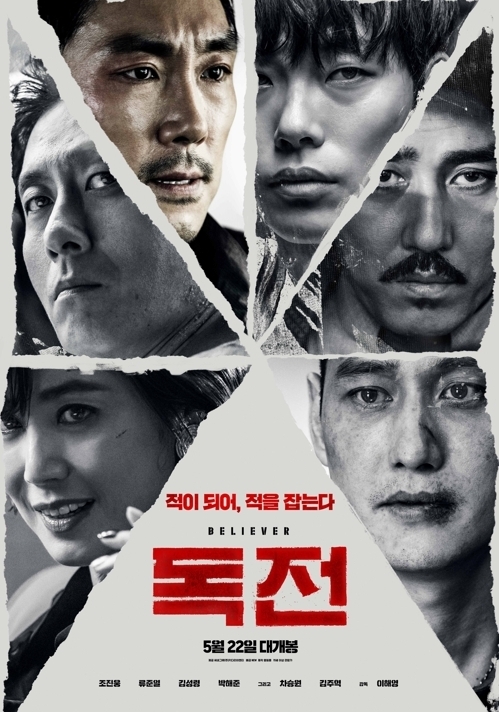 Also on Wednesday, the Korean crime thriller "Believer" surpassed 4 million in admissions. 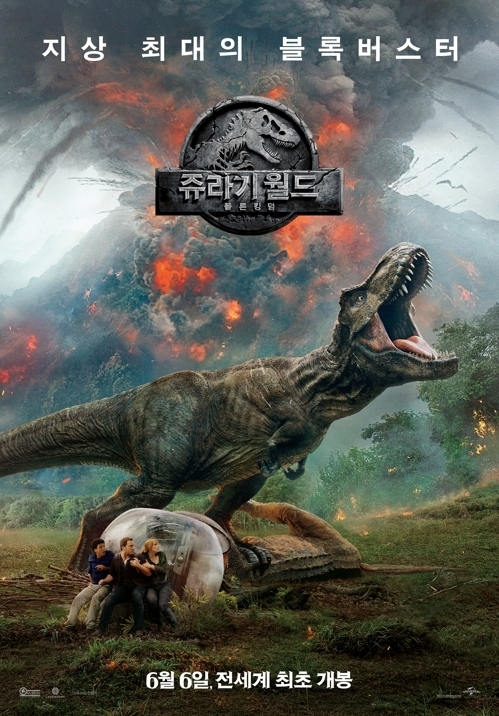 The movie, starring Cho Jin-woong and Ryu Jun-yeol, had topped the box office for 15 consecutive days since its release on May 22, but was dethroned by "Fallen Kingdom" when it hit theaters.